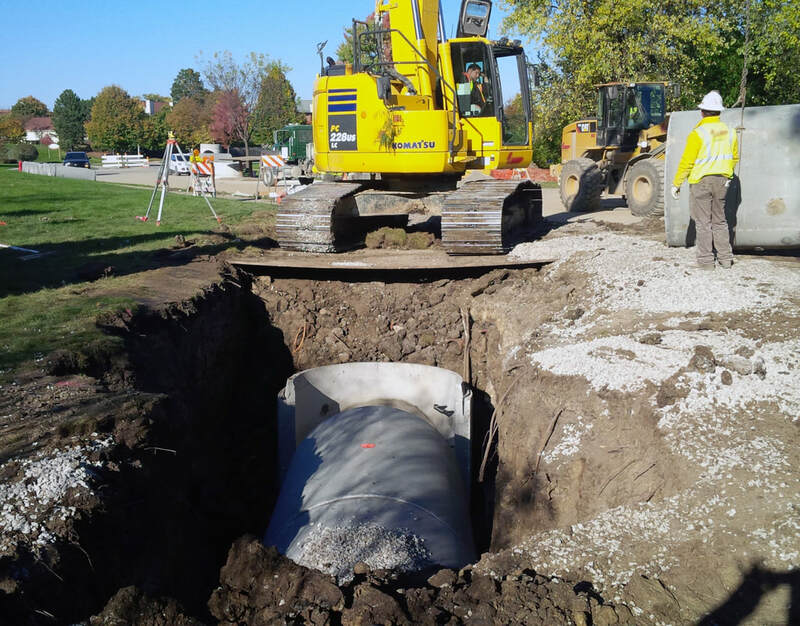 Chastain provided Phase II design and Phase III construction engineering services for the replacement of an existing 54" storm sewer/culvert with a new 54" crossroad culvert approximately 250' in length. For the design phase, work included topographic survey, capacity assessment of the 54" storm sewer/culvert, development of replacement alternatives, preparation of design plans and construction documents, and permitting coordination with MWRD, USACE and other regulatory agencies. The construction phase included construction observation, layout verification, construction documentation and project close-out for the new culvert. Scope of work also included culvert hydraulics, downstream headwall design, bank stabilization at the outlet and re-use of the existing upstream control structure. The project was completed in 2016 for a total construction cost of $259,470.